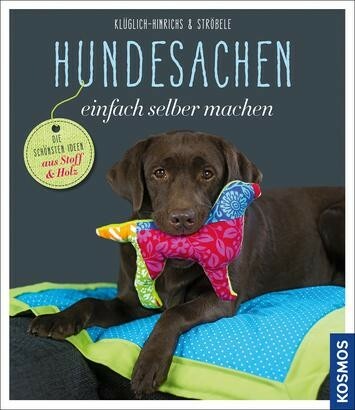 Product information "Hundesachen einfach selber machen"
Do-it-yourself is the top trendy topic among dog owners, too. The authors introduce the best ideas made of fabric and wood: from the balancing shelf to the dog bed, from dog blankets to collars and leashes, from braided to snuggle toys. Here every dog owner can find unique suggestions that entice him to start right away. That's how individual dog items that you cannot buy and whose design and size are tailored exactly for your own dog are made. Specific descriptions and detailed photos of the individual work steps, as well as lists of material, information about the supplies and time needed make this book indispensable for any creative dog owner.